OMICS International Conferences invites all the participants from all over the world to attend ‘European Chemistry Congress’ during June 16-18, 2016 in Rome, Italy which includes prompt keynote presentations, Oral talks, Poster presentations and Exhibitions. 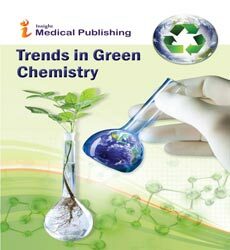 Chemistry Conferences is a global platform to discuss and learn about Fundamentals of Organic Chemistry, Inorganic Chemistry, Analytical Chemistry, Materials Chemistry, Green Chemistry: Green chemical principles, Medical Biochemistry, Physical Chemistry, Biological Chemistry, Theoretical Chemistry, Scientific conferences and meetings and the field of chemistry. Chemistry Meetings would discuss various topics related to Biochemistry, Petroleum and Petrochemicals, Nuclear Chemistry, Polymer Chemistry, Pharmacognosy & Phytochemistry, Stereochemistry, Clinical Chemistry, Medicinal & Pharmaceutical Chemistry, Industrial Chemistry and Environmental Chemistry. OMICS International Conferences has taken the initiation to gather the world class experts both from academic and industry in a common platform at Chemistry Conferences. 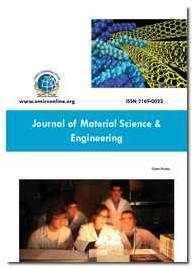 Chemistry Conferences are gathering of group of people to share their research ideas and knowledge of specific techniques and topics in chemistry field. Frequently there are more than a few speakers within each conference, and these speakers are experts in chemistry fields. Several topic reviews are programmed each day throughout the conference, and participants can usually make their choice of topics from among these scheduled international events. Chemistry focuses overview of recent topics, interesting reactions, and information on important chemicals for organic chemists.Chemistry Conferences assembles a broad range of scientific disciplines to discover, design, delivery, disposition of new drugs and therapies. The scope of these gatherings is extended by remarking key regulatory areas like Multi-disciplinary Chemistry, Biological Chemistry . Providing a chance, OMICS International Chemistry Conferences host scientists, researchers, chemical organizations and all representatives of pharmaceutical and chemistry company sectors can showcase their cogent findings and at the same time get exposed to a useful array of research and latest developments. OMICS International Organizes 1000+ Global Events Every Year across USA, Europe & Asia with support from 1000 more scientific societies and Publishes 700+ Open access journals which contains over 100000 eminent personalities, reputed scientists as editorial board and organizing committee members. The conference series website will provide you list and details about the conference organize worldwide. 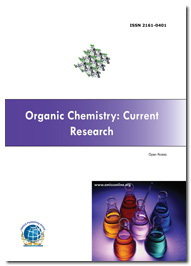 Chemistry conferences are gathering of group of people to share their research ideas and knowledge of specific techniques and topics in chemistry field in Chemistry Conferences. Frequently there are more than a few speakers within each conference, and these speakers are experts in chemistry fields. In these Chemistry Meetings several topic reviews are programmed each day throughout the conference, and participants can usually make their choice of topics from among these scheduled international events. To discuss the issues and accomplishments in the field of engineering OMICS International Conferences has taken the initiation to gather the world class experts both from academic and industry in a common platform at its Chemistry conferences. Euro Chemistry 2016 provides the chance for researchers, practitioners and educators to present and discuss the most recent innovations, trends, and concerns, practical challenges encountered and the solutions adopted in the fields. Euro Chemistry 2016 is an international platform for presenting research about chemistry and related fields thus contributes to the dissemination of knowledge for the benefit of both the academia and business. This event brings together the top professionals in the field along with the highly affiliated professors to explore the advancements and latest applications achieved in the field of chemistry. Euro Chemistry 2016 discusses various fields of chemistry employed in theoretical, physical, organic, inorganic, pharmaceutical and life science fields which mark the support for the advanced and much needed research by their study on various topics. The scientific program will focus on current advances in the research and use of chemistry and related with particular focus on its roles and applications in various fields.